Head to the depths of the seas and enjoy some spooky wins when you play Sharknado Slots! Don’t be scared…they’re just sharks, right?! Good luck! Dive in and win big when you play Sharknado Slots! It’s a little spooky, but all you have to do is muster up your courage and you’ll be rewarded with multipliers, FREE spins and more! 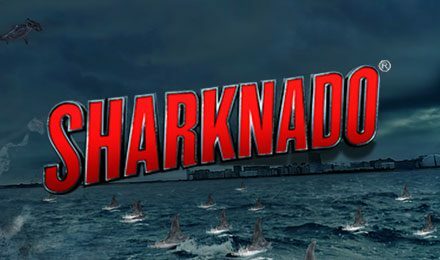 Sharknado Slots has a generous 95.95% RTP, 5 reels and 25 paylines. The Scatter is the Chainsaw, and spinning 3 or more will trigger your FREE Spins Bonus! Be sure to also look out for the game’s Wild Substitute for even more chances to win!